Select or enter "Pinal County Library District"
How long do hoopla titles check out? How do I check-in an item? How can I view hoopla content on my PC? Where can I report a problem or get further technical support? Check out an eBook and read on your tablet, smartphone, or eReader with cloudLibrary. Select state, and "Pinal County Library District"
How long do I get to keep my cloudLibrary titles? Do I need to create an account specifically for cloudLibrary? How do I browse and check out a book? How do I find a book to check out right now? How do I know that it is my turn for a hold? Do books expire on my eReader? The cloudLibrary app is prompting me to update the software, should I do this and why? Why can’t I access cloudLibrary? Use OneClickdigital to download audio books to your device! How many titles can I checkout at one time? How long is a checkout period? I checked out a book, but now I can't find it under "My Titles". Looking for a magazine? Visit RBDigital Magazines, our digital newstand brought to you by the Arizona State Library. OneClickDigital for Libraries Overview (8 Minutes) from RBdigital from Recorded Books on Vimeo. How many magazines can I check out at one time? How long can I check out magazines for? How do I report technical difficulties? We apologize for the inconvenience, but we are not offering this service at this time. 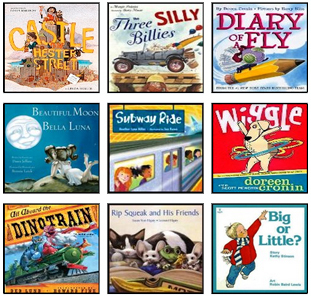 TumbleBookLibrary is an online collection of animated and narrated picture books and chapter books. Designed for readers grades K – 6 can read the books, or have the books read to them! Use TumbleBookLibrary to read hundreds of titles directly from your web browser. No app required! If you’d like to create a Favorites list register for a My Cloud account with an email address. Why are my TumbleBooks not playing?